Tuesday, January 31, 2017 at Portland Library, 33rd and Portland Ave, LVL KY.
We will once again brave the notions that we can learn and share together in ways that benefit us all. The event will be recorded and placed on this blogsite after the event. 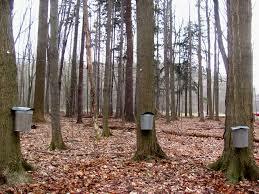 So many things to discuss, including tapping maple trees, but so much more. AND HERE IS THE AUDIO PODCAST for your potential listening pleasure and edification.